Women aesthetician will choose the perfect facial treatment for the gent's particular skin type. This is a well customized facial, incorporating exfoliation, hydration, and deep pore cleansing. 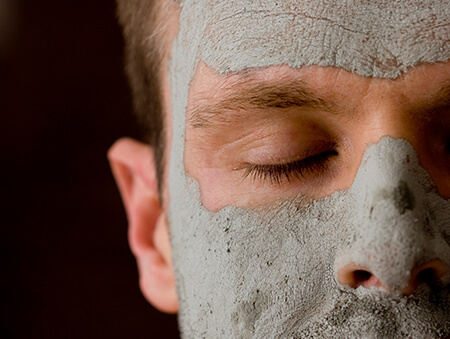 Our Gentleman's Facial is designed to reduce the signs of aging by revitalizing the look and feel of the skin. What is a Gentleman’s Facial? 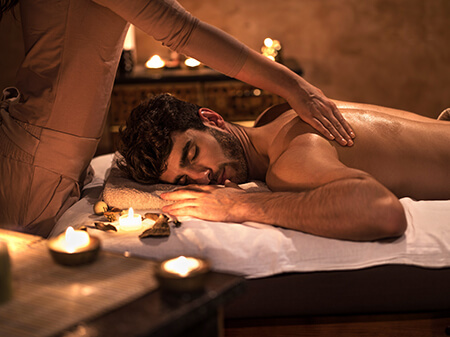 Exclusively for our gentlemen in mind, cleansing, exfoliation, massage and a customized mask will be expertly applied by our highly-trained aestheticians. This will help smooth away the tired and stressful looks along with the fine lines and wrinkles. With trimming of the brows, the patient will be back into action with his best "face" forward. Often the first signs of aging and dull complexions are often caused by a lack of hydration. The skin feels tight, which shows that it needs deep hydration that usual creams cannot provide. This facial is designed to hydrate, lift and soften tough shaven skin and to alleviate and reduce razor bumps and irritation. The treatment begins with deep cleansing of pores using steam, followed by a microdermabrasion using tiny crystals. You will relax and enjoy the hydrating massage. We will then incorporate a Collagen Firm and Lift mask to increase the texture and elasticity of the skin. Shaving is preferred before these treatments but beards are fine. 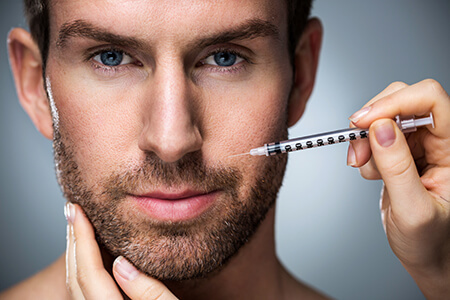 The patient should avoid Dermal Fillers or Botox injections for 10-14 days before the treatment. Before receiving treatment, the patient should be off Retinol products or exfoliation products for 5-7 days. No tanning bed or sun for 7 days prior to the treatment. What Happens Post-Care for Treatment? There is no downtime for these treatments. The patient's skin may be a little pink for thirty minutes to one day. There should be no tanning through the natural sun or tanning bed for up to 72 hours.